Last month, the very first details on the Nintendo attractions currently in development for Universal Studios theme parks around the world were revealed, and now Universal Studios Japan has debuted some concept art for their “Super Nintendo World” area which you can check out below. The initial announcement did note that between Universal Hollywood, Orlando, and Japan there would be different types of attractions, however, it’s not out of the realm of possibility for them to share at least some of the same elements. 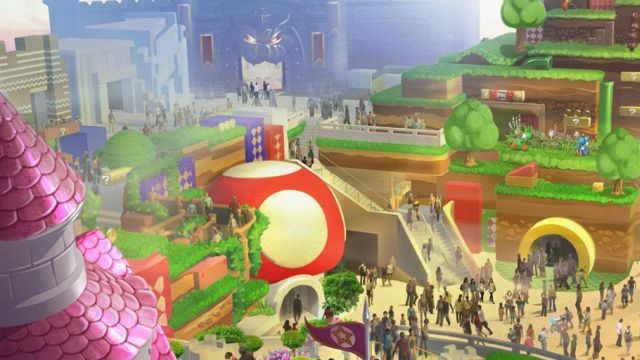 Super Nintendo World in Osaka is targeted to open in time for the 2020 Tokyo Olympics and will be comprised of expansive and multilevel environments filled with unprecedented, state-of-the-art rides, interactive areas, shops and restaurants, all featuring Nintendo’s most popular characters and games. Development cost at Universal Studios Japan is currently expected to exceed 50 billion Yen ($433 million). Super Nintendo World will feature characters and themes from the “Super Mario” series, which has continued over the years to win the hearts of devoted fans around the world. The attraction area will also feature a variety of other globally popular Nintendo characters. Nintendo characters and the worlds they inhabit will be re-created at the highest level of quality through the strong partnership between Mr. Shigeru Miyamoto, Creative Fellow at Nintendo, and Mark Woodbury, President of Universal Creative, renowned for creative and technical excellence. 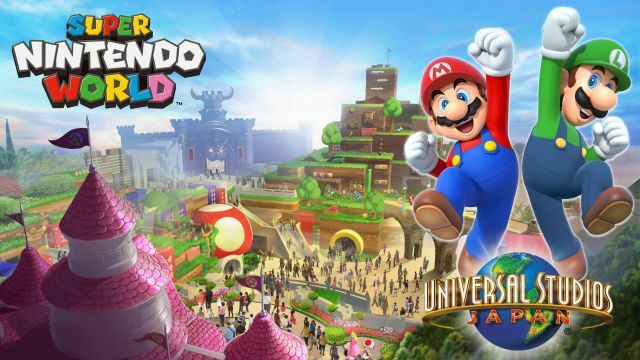 Super Nintendo World will allow guests to fully immerse themselves and all five senses in the worlds of Nintendo, and is expected to attract guests from Japan and the world over. Click on the image to see an even bigger version!